Type your Kuehne + Nagel tracking number below, get live delivery information with our express tracking system. With over 74,000 employees at some 1,300 locations in over 100 countries, the Kuehne + Nagel Group is one of the world’s leading logistics companies. Its strong market position lies in the seafreight, airfreight, contract logistics and overland businesses, with a clear focus on providing IT-based integrated logistics solutions. If you have problem with our express tracking system, please track your package directly on the Kuehne + Nagel website. If you get no tracking information from Kuehne + Nagel official website, you’d better contact them. 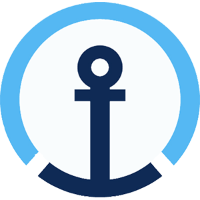 If you have problem with our Kuehne + Nagel Tracking system, submit your problem here, we will help you as soon as possible. Declare: We can NOT contact carrier or others on your behalf, we can only help you track your package with your Kuehne + Nagel tracking number on official tracking system.